With their long necks, regality and exotic features, you would think we were describing a monarch from a far-off land. In reality? We’re talking about the Serengeti cat — a brilliant breed worthy of being a royal herself! 1. The story behind this breed’s wild looks. A tabby Serengeti cat. Photography ©KrissiLundgren | Getty Images. The Serengeti cat was inspired by the wild African serval, but she’s not wild herself. 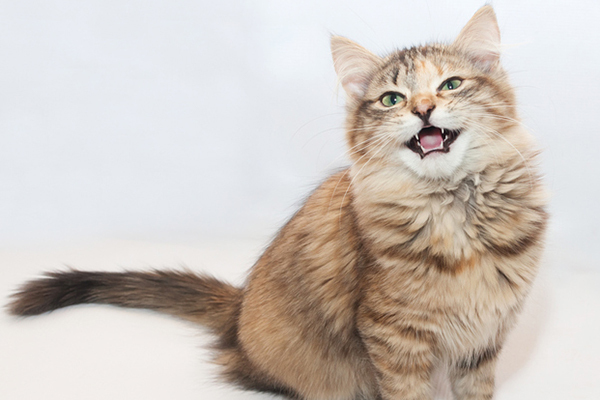 The breed was created by Karen Sausman, a conservation biologist and owner of California’s Kingsmark Cattery. 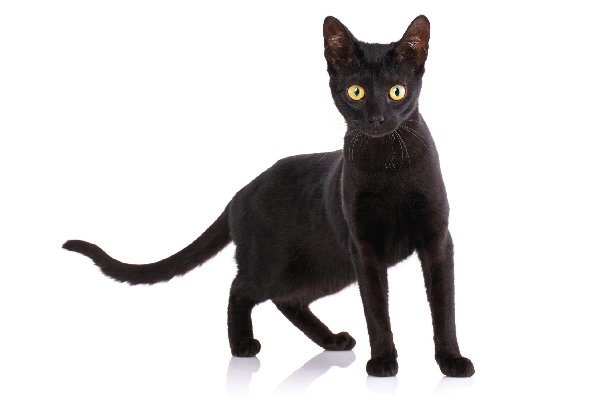 A cross between an Oriental Shorthair and a Bengal, the Serengeti cat is 100 percent domestic. Sausman is strongly opposed to the keeping of wild animals, which is why creating the Serengeti was so important to her. She believed establishing a domestic cat with truly wild, exotic looks would dissuade feline fanciers from seeking out true wild hybrids. 2. This breed’s physique is stately and statuesque. The Serengeti cat holds her medium-sized frame in a fashion fit for a queen. Though strong and muscular, she is lithe and graceful, with a posture that could rival that of a ballerina and long legs that would make a supermodel green with envy! 3. A Serengeti cat sports adorable round ears. Though felines are frequently seen with ears that sport points, and eyes that naturally slant, the Serengeti catstands in a class of her own with oversized ears that are rounded and large, circular eyes in bright gold or amber hues. 4. Expect spotted and sleek coats. The Serengeti cat’s coat is short, smooth, sleek and feels like silk to the touch. 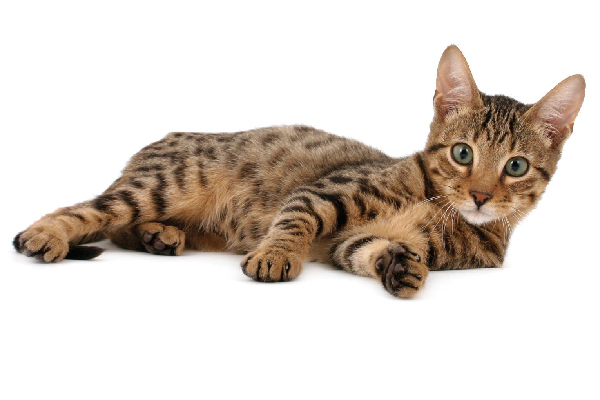 Coat colors can be found in silver-spotted tabby, lavender, smoke, brown-spotted tabby, snow and solid black (melanistic), with widely-spaced spots appearing in black or dark brown shades. 5. Secret spots on Melanistic Serengeti cats. You might think that a solid black coat would indicate that the cat is without spots, but you’d be wrong! Melanistic Serengetis have a mystical quality known as ‘ghost spotting’ — a black spotted pattern (with rings on the tail) that is barely discernible to the eye. These black beauties always have black noses, making them look like a little black jaguar! 6. This breed is an athlete. Though you should never judge a book by its cover — and looks can be deceiving — when it comes to the Serengeti cat, you are 100 percent correct! This little lady is every bit as wild in personality as she is in looks. Her favorite pastimes include running and climbing, and while she looks like a cat fit for the jungle, her activity level is more akin to that of the Energizer Bunny! 7. How big is your typical Serengeti cat? The Serengeti cat is a medium-sized cat. Males can weigh between 10 to 15 pounds; while females usually weigh between 8 and 12 pounds. 8. The Serengeti cat has legs for days. In addition to being active, the Serengeti cat is a very agile feline who loves to use her long legs as leverage to catapult her onto high perches — the better to observe you from! Even more entertaining? She has the ability to reach incredible speeds and looks like a sleek race car as she zooms through the house! With so much energy, can a Serengeti be left home alone? Though she does prefer company, don’t worry. She won’t pull a Kevin McCallister when you leave the house — as long as you keep an assortment of cat trees, gyms, perches and toys to keep her occupied. Think of it as a catified version of Disneyland — in your living room. 10. A Serengeti cat loves attention. How is she with people? Practically purrfect in every way! Though outgoing, confident and affectionate, the Serengeti cat takes a bit of time to warm up to newbies (from humans to other animals). Once she gets to know you, however, she thrives with all — from children to canines and felines alike. And she’ll never turn down a warm lap to curl up in or a heavy dose of attention! 11. She’s a bit chatty. Blame it on her Oriental heritage, but the Serengeti cat loves to chat. She’s highly vocal — striking up convos about everything from your day at work to her suggestions on what’s for dinner! 12. A Serengeti cat won’t leave your side. The Serengeti has earned the nickname the “Velcro Cat” for her tendency to stick like glue to the person she deems her BFF! Thumbnail: Photography ©Serhii Kucer | Alamy Stock Photo.